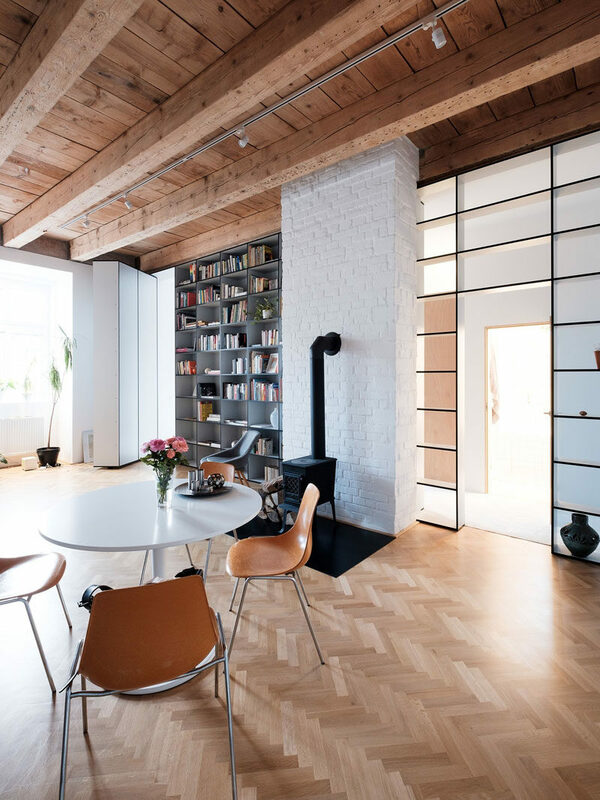 Design firm JRKVC have designed this apartment interior in Slovakia that features a hidden bedroom behind a bookcase. 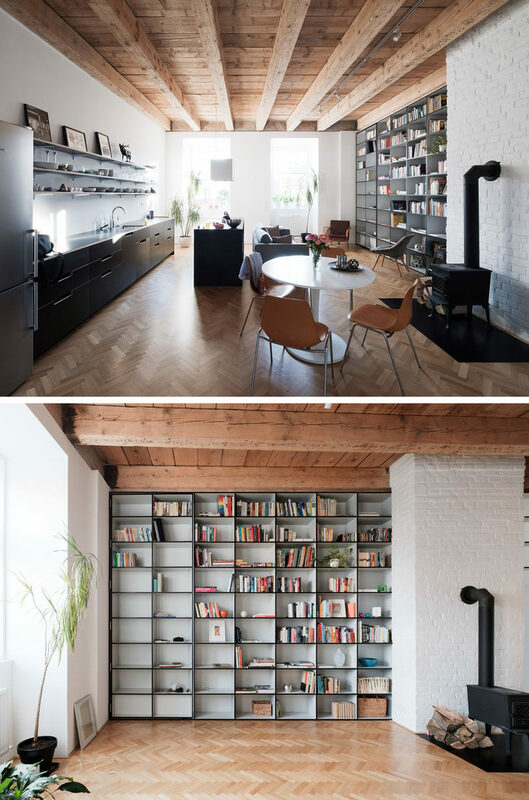 Seamlessly hidden in the design of the bookcase is a door that is the full height of the shelving. The two columns of shelving on the left swing open to reveal the bedroom. Here’s a look at the living area with the secret door open. From the bedroom, the view of the door matches the other doors of the wardrobe, but with a little gap to make it easy to open. If you want to see more hidden doors, have a look here, here, here and here.